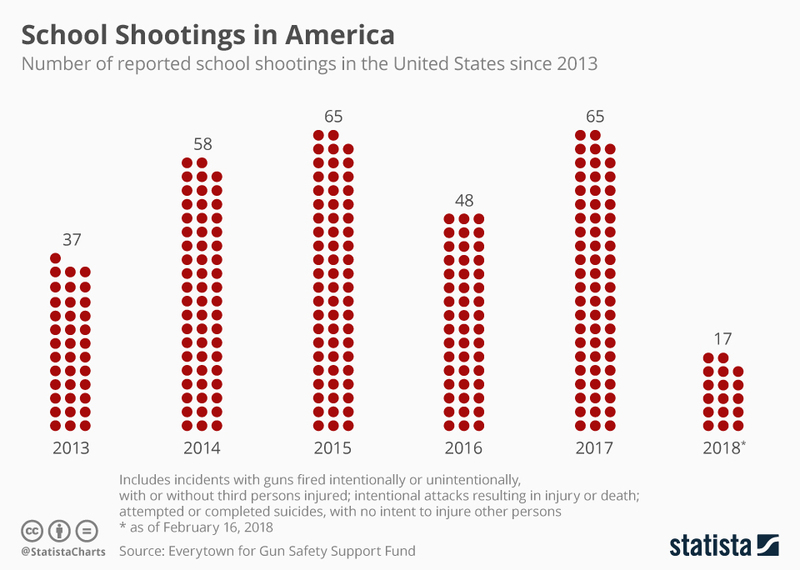 Including the recent shooting in Florida on Wednesday, this year has already seen 17 incidents of guns being fired at schools in the United States, according to gun control activists at Everytown for Gun Safety Support Fund. During the latest incident in Parkland, Florida, some 45 miles north of Miami, a 19 year-old shooter took the lives of 17 students and staff at the school where he was taught. He was carrying an AR-15 style rifle, the civilian version of a rifle originally designed for front-line combat. The NGO started recording such incidents at the probably most vulnerable public institutions in 2013. Since then, there have been 290 such incidents – which amounts to an average of more than 48 incidents a year. Not all of them were deadly. This chart includes incidents with guns fired intentionally or unintentionally, with or without third persons injured, and intentional attacks resulting in injury or death. It also includes attempted or completed suicides, with no intent to injure other persons. The figures do not include guns brought to school, but not fired, or shots fired in the vicinity of schools. 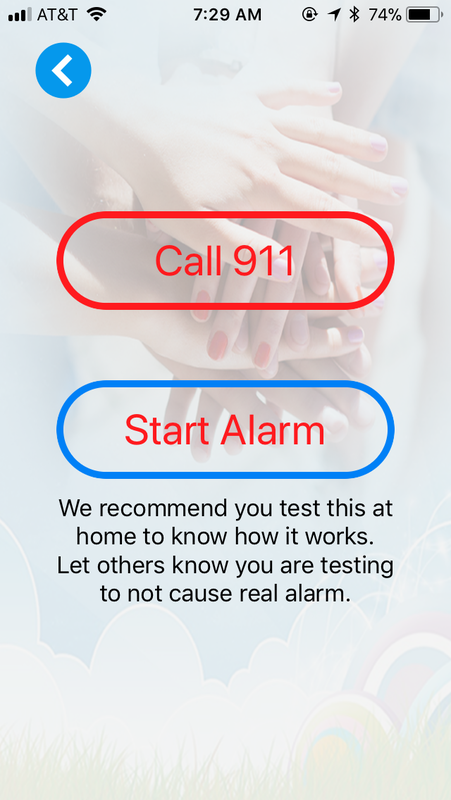 Be prepared get PeerSafe App with personal alerts and siren.